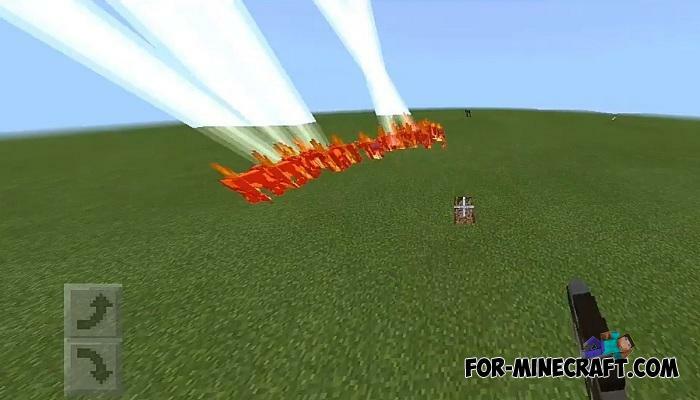 The Elemental Cows Addon does not belong to porting at all, although it has a lot in common with the PC version. 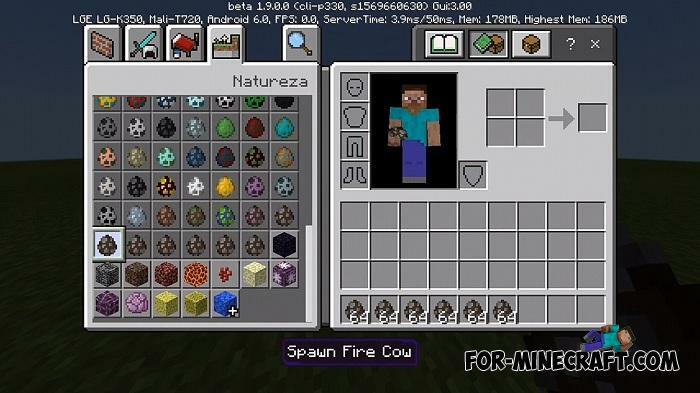 For those who have never seen Elemental Cows, here is a brief description of what will happen in your worlds with this addon. First, new cows will meet you more often than usual, which gives milk. 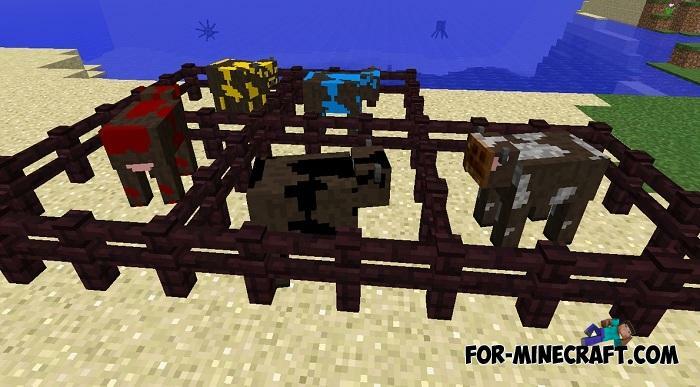 Secondly, Elemental Cows are unpredictable creatures. 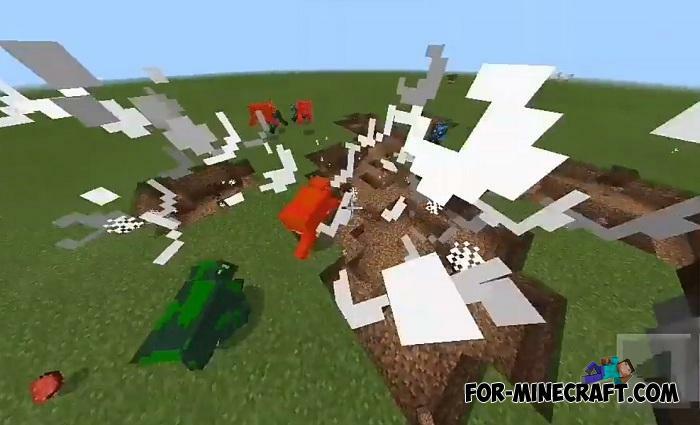 For example, a creeper cow hates lightning cows and if they meet face to face there will be a fight. 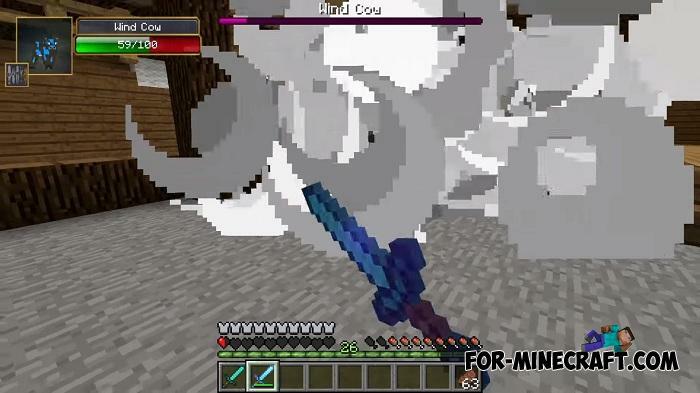 Other cows also have unique behavior, but in addition to this, they also have different super abilities. Based on the names, you can clearly understand what you will get when you meet one of the cows listed below. 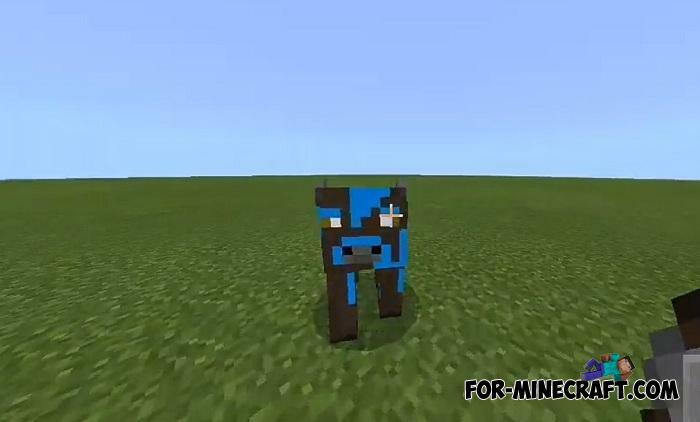 How to install the Elemental Cows Addon? 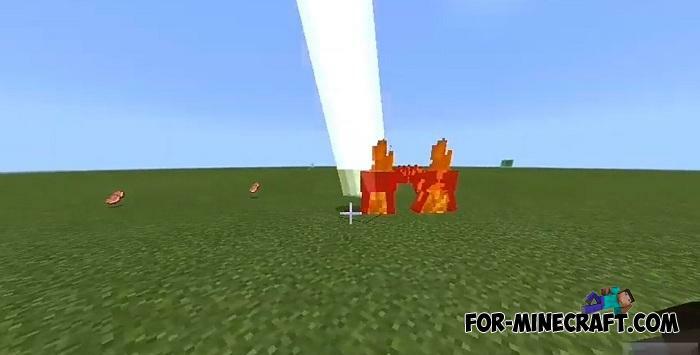 Unpredictable Lucky Block addon for MCPE 1.2/1.5Unthinkable events will happen to you when you open at least one such block. 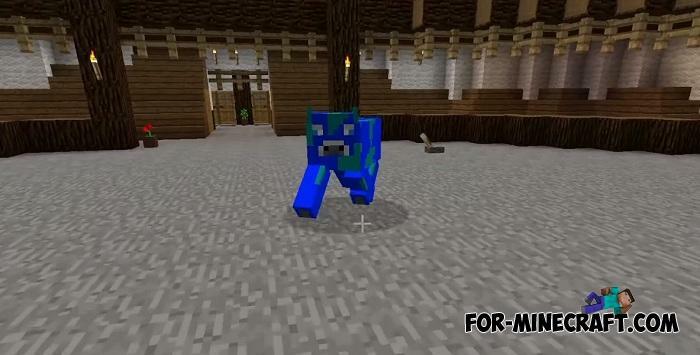 Unpredictable Lucky Block addon adds a magical blue box..